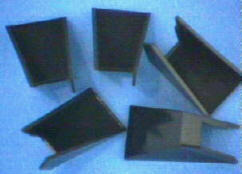 Tungsten Carbide triangles may be used to make "thick" sections of biological and hard plastic embedded specimens. Also useful for trimming. Routine production of good glass knives requires a reliable supply of high quality glass strips. ALKAR glass strips from Sweden are produced with great care to control quality. ALKAR'S manufacturing process has long been recognised as the established standard worldwide -this glass has been supplied with every LKB KnifeMaker® for three decades. ALKAR glass is made by the Pittsburgh glass process. The physical characteristics of this glass are uniform throughout. It is tougher and harder than glass made by other processes. Knives made with this glass are therefore more durable, with long lasting cutting edges needed for long ribbons of sections, thinner sections and sections free from artefacts. 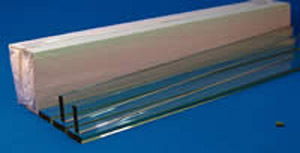 All glass strips are 400mm long and 25mm wide. Note: Glass for ultramicrotomy glass knives (Alkar and LKB) was made in Sweden. Algy Persson was the supplier for several decades. He died of very old age a couple of years ago but we have now found another good source - unfortunately it's more expensive. For the new glass we are using the old catalogue number with an 'E' suffix. Glass Knife Boat: Quick Boat. These boats are made from aluminium and are anodised black. They come complete with a set screw on one side. The area where the glass knife will be attached, is cut to fit to the width of the knife and is cushioned by silicone rubber to ensure a tight seal and no leakage. 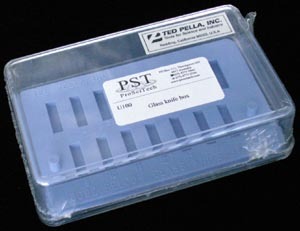 Plastic disposable (but reusable) troughs which fit on glass knives 6.4mm thick. Very convenient to slip on the back of the glass knife and seal with dental wax or nail polish. Click here for "Silver" tape for boats. Has a soft silicone base, anti-slip pads underneath and a clear plastic hinged dust cover. Holds 15 glass knives in numbered recesses. 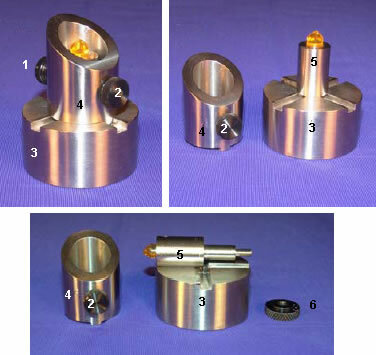 A precision made device to aid in hand trimming resin tissue blocks to the desired shape for ultramicrotomy. The knurled knife guide swivels to help the trimming blade to cut the sides of the block. May be utilised with any stereomicroscope with epi-illumination. 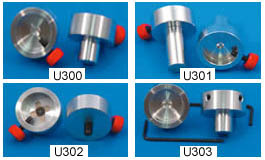 The trimmer is supplied with a standard chuck to accommodate the block size 00. 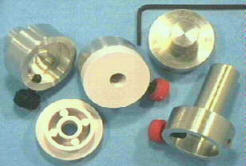 ProSciTech can supply Freezer hats at prices significantly lower than other suppliers. 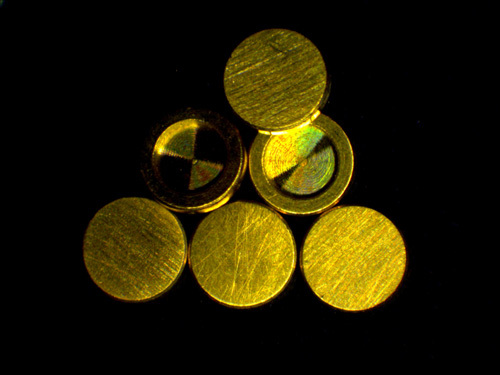 The planchet designs are shown in cross section. They are available in brass only. Depths of cavity in the planchets are 0.1, 0.2 and 0.3mm. 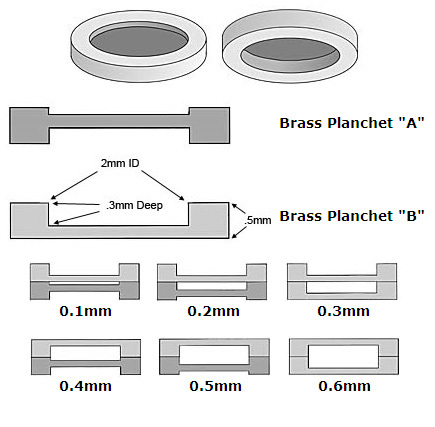 Using the two planchets, one on the other, in various combinations, permits the cavity thicknesses as illustrated.